In April we went down to Silverton for our second year at the Oregon Garden Brew Fest but we were running ahead of schedule and decided to make a detour to Salem. 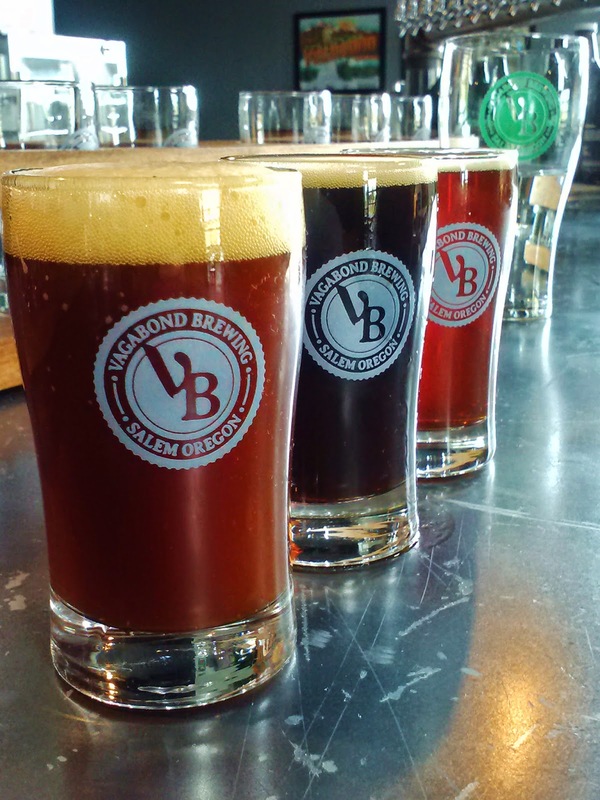 Two choices were available: Vagabond Brewing and Santiam Brewing, neither of which we'd visited nor had beer from before so it was a horse apiece. The decision ended up being made by the clock. It was just past 3pm and with Vagabond opening at 3, but Santiam not until 4, the decision was made. We followed the map to, no surprise, a light industrial area with a helpful sign at the driveway letting us know beer was ---->. Walking in we were greeted by a large space, much more than necessary for brewing and a simple taproom. Ample seating, all made in house except for the collection of leather sofas grouped together in an area that doubles as a stage for live music, dart boards and a pool table easily fit into the space. 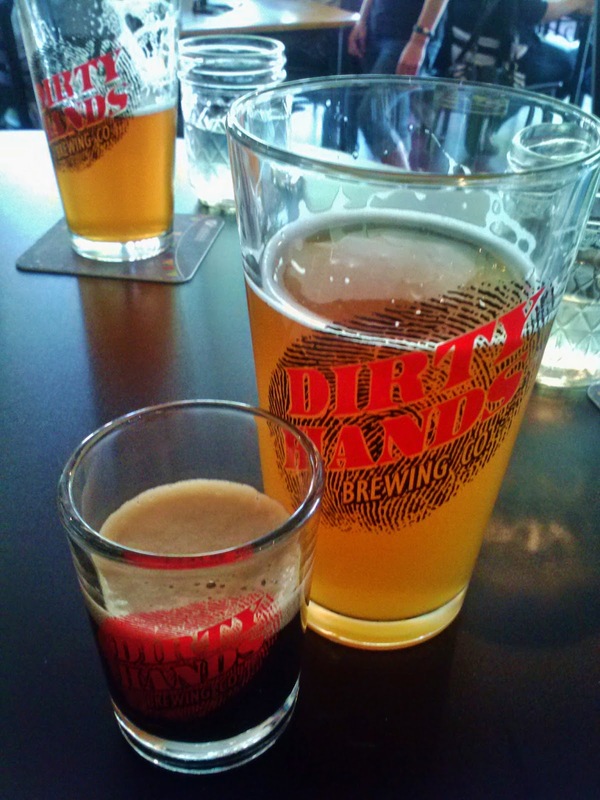 With beer being our mission we bellied up to the bar where Alvin introduced himself and poured us our first flight. He told us the operation is a collaboration of four former Marines, two hailing from Salem and two from California. As with other multi-owner breweries, each person contributes their strengths, be it brewing, marketing, handling the business operations, etc. We started out with one flight and added on three more samples so that we could sample all nine Vagabond beers that were available. The All Rye, All Rye, All Rye and NW Passage Stout, which surprised me by being their highest ABV beer, were my favorites. Mag's tastes lean a bit more malty and he found the On the Road Red to be right up his alley. Once our thirst was quenched Alvin graciously offered to give us a tour of the place. 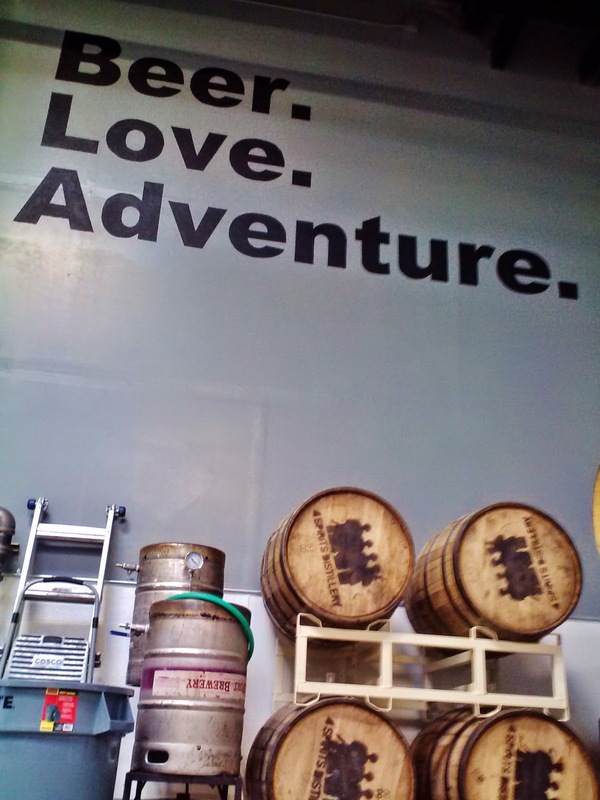 The brewery space dwarfs the existing 4 bbl steam system; an intentional move to ensure that a physical move would not be needed when they were ready to scale up. Currently that also means that there is plenty of room for 4 Spirits Distillery bourbon barrels and Kings Estate Pinot Noir barrels, which will of course be filled with beer. There are also plans to open a kitchen, a project that will be spearheaded by one of the Vagabond wives, following her completion at culinary school. In the meantime, customers can bring their own food in and food carts are encouraged to come around, especially on the weekends when the place fills. The visit, while unplanned, turned out to be a great lead-in to the festival and fell in line with nearly every other small brewery visit. The brewers/owners were happy to tell us as much as we wanted about their operation and the beers showed promise. Since the visit I've been following them on Facebook and let me tell you, if I lived in Salem you can bet I'd be spending plenty of time at Vagabond. It seems as though there is always something going on, from live music to game night to cheering on a sports team. 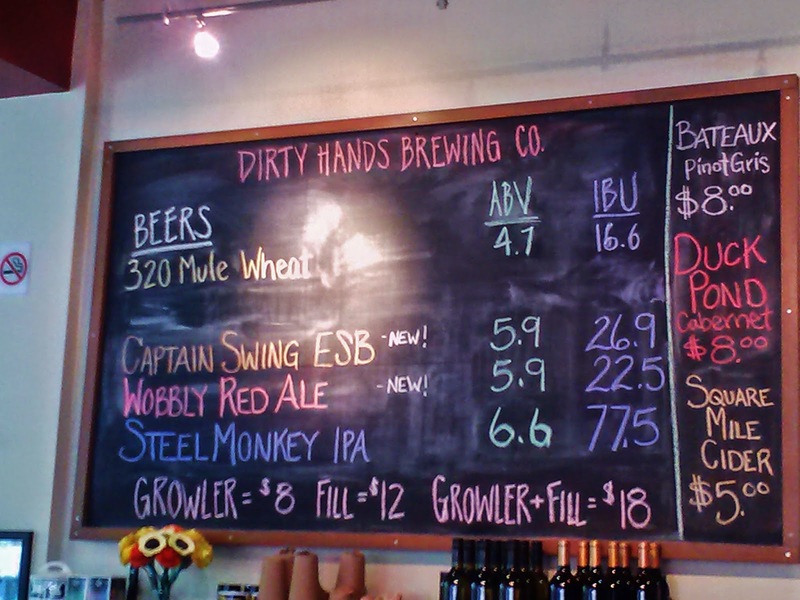 Last night we had the opportunity to check out the new, full menu from Dirty Hands Brewing in Vancouver, WA. They have only been open six months and our first visit was within their first week of opening. Our initial impressions were favorable and we were excited to hear the news that they their menu and kitchen were ready to roll. We arrived for the soft opening, found a table and ended up with our server being the same one who had been working on our first visit, a wonderfully friendly and knowledgeable brunette. She explained the menu, noting that the house specialties section was not available tonight but everything else was, and that in addition to the beers listed on the chalkboard, they had just tapped an oatmeal stout. 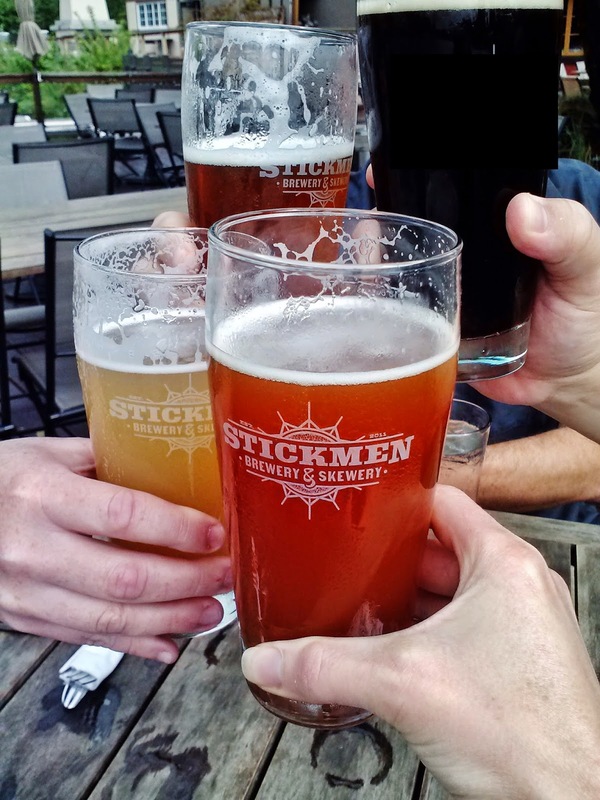 Of the four beers on the menu, we had previously tried only the wheat, leaving the red, ESB, IPA and oatmeal stout as new territory. For our first round I went with the Captain Swing ESB and Mag chose the Steel Monkey IPA. The mild flavor and aroma were just what an ESB should be in my mind while Mag would have like to have found more mouthfeel in it. Conversely, he really enjoyed his IPA, more so as he continued through the pint, while I found it to be more malty and floral, with less bite than I prefer in my IPAs. Clearly we had each chosen well, each enjoying our beers as we took a closer look at the food menu. The starters and small plates section included many familiar items, most with a bit of a twist, including the deviled eggs that were made with Sriracha mayo and topped with crushed kettle chips. All of the components being up our alley, it was a no brainer. The next section included four salads and two soups. Neither of us being big salad orderers, and the beer cheese soup and the New Mexico green chili both sounding tasty, it was on to the hardest section - signature hots. The nine offerings included Chicago red hots, kielbasa, Italian sausage, bratwurst, chicken sausage and a vegan frankfurter all topped with delicious sounding ingredients. 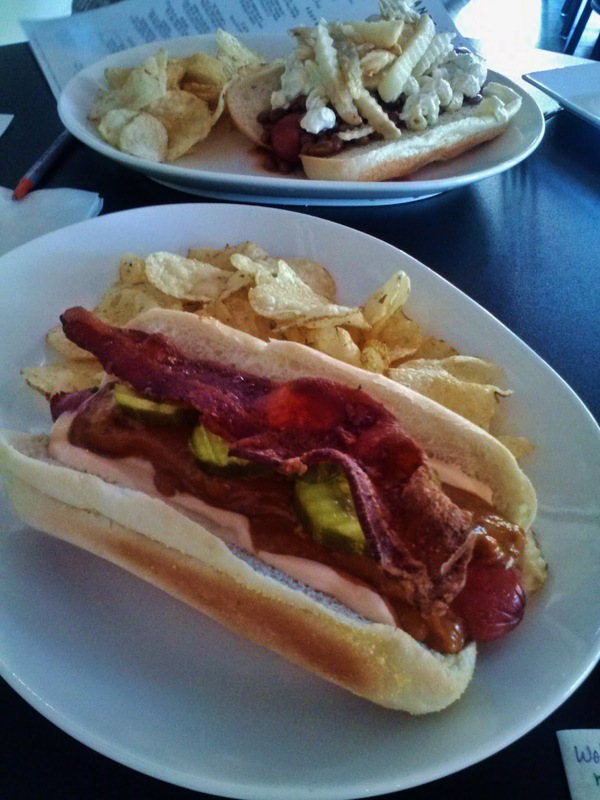 In the end we opted to try out The "Dirty Dog" - a Chicago red hot topped with macaroni salad, baked beans and crinkle cut fries - and the Killer Dog - a Chicago red hot topped with Thai peanut sauce, bacon, mayo, grilled onion and pickle. I'll save you the blow-by-blow, summing it up by saying that we were quite pleased with everything we ordered and I went through at least three full sized napkins (I abide by the notion that good food is often messy). During the course of our meal our server brought out samples of the as-of-yet unnamed oatmeal stout. It had a great mouthfeel and was well balanced, being neither too roasty nor too chocolaty, while remaining moderate in body and drinkable. It was so drinkable that for our second round that was what Mag ordered while I went for the Wobbly Red Ale. I'm generally not a red fan; most of them are too malty for me, but this one was less so with more hops and could have passed for a half-brother of my favorite red, Coalition King Kitty. 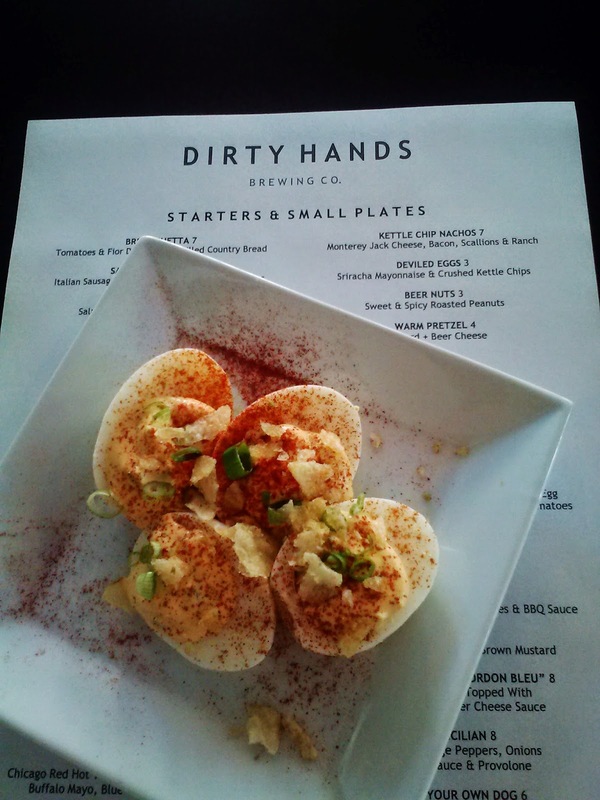 It was great to visit Dirty Hands again and I applaud them for their creative menu. This is the first hot dog-anchored menu I've run across and well done to boot. Thanks to Phil for the invitation, which allowed us a chance to meet his business partner, Grant, and to the staff, especially, our server Lacey for a truly enjoyable and overwhelmingly tasty evening. Perhaps my view that beer can be part of a healthy lifestyle is skewed by the fact that I Love. It. So. Much. And love is an important part of being healthy, right? A couple days ago a media release found its way to my inbox entitled, "Search for the Healthiest Beer," and I was intrigued. It turnes out that there is a legitimate event being held on the eve of PDX Beer Week, put on by a registered non-profit organization. The event boasts blind tastings from 12 local craft breweries, gourmet appetizers, live auction and an entertaining panel that will make the case for their favorite beer before the winner is chosen by the crowd. Adding to the legit factor are corporate sponsors that include Columbia Sportswear, MODA Health and Cambia. I figured that event was a one-off, one of those things that helps Portland maintain its keeping it weird status. Apparently we're not the only ones, however, as I ran across a story about Brew Rendezvous a day later. Taking place on Sunday, May 18th in San Diego, this event is also being put on by a non-profit, Community Health Improvement Partners (CHIP). Whereas the Portland event takes a bit more lighthearted note, the San Diego event "will underline local brewers' role in supporting local agriculture, ensuring that San Diegans are able to enjoy a wide variety of fresh, wholesome food." Either way, I for one, appreciate the efforts of both organizations and all of those involved in the events for continuing to add to the legitimacy of beer (craft beer, that is). Those of us who have already come into the fold know that we don't drink with the goal of getting wasted. Hopefully these and other events will show, especially to those who abstain from alcohol completely, how the production and consumption of beer is part of a much larger system that supports our communities and doesn't have to have a negative impact on health. What's your take on events like these? Welcome to this month's edition of Shameless Self-Promotion! 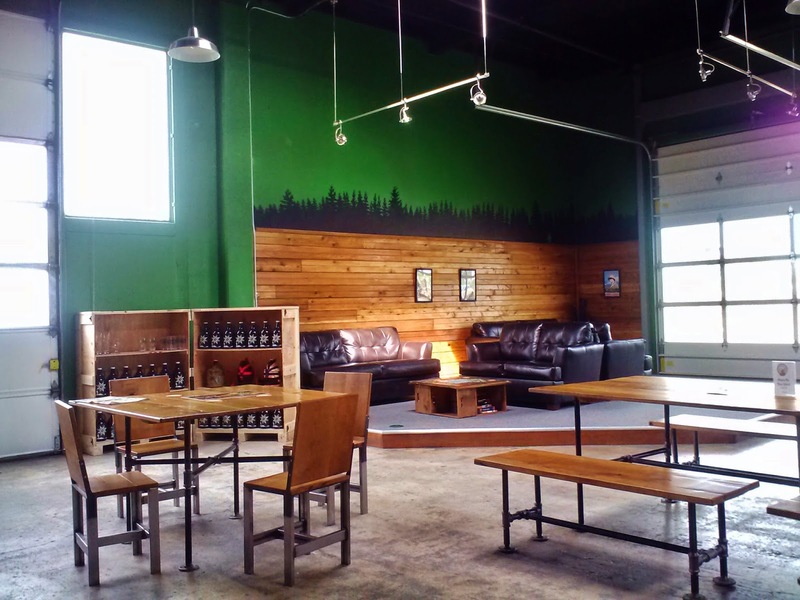 I've been fortunate enough to have another article published in the Oregon Beer Growler. 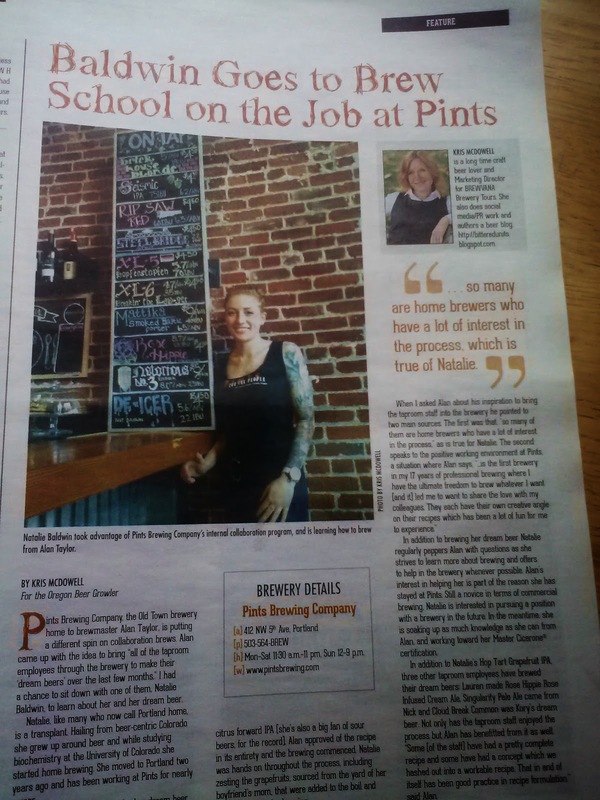 In it I talked to a great lady/brewer-in-the-making at one of my favorite places in town, Pints. What's really special though is that the entire May issue is about women in brewing. If you're in Portland, keep your eyes out as the latest issue should be in or arriving soon at your favorite watering hole. If you're not in town, I highly encourage you to take the time to at least flip through the entire issue online. Holy crap, gorgeous weather in PDX! While this isn't the beginning of summer it is most certainly a peek into the crystal ball at what's ahead. It's time to start shunning the barley wines and the Russian imperial stouts for something more refreshing, more quenching. 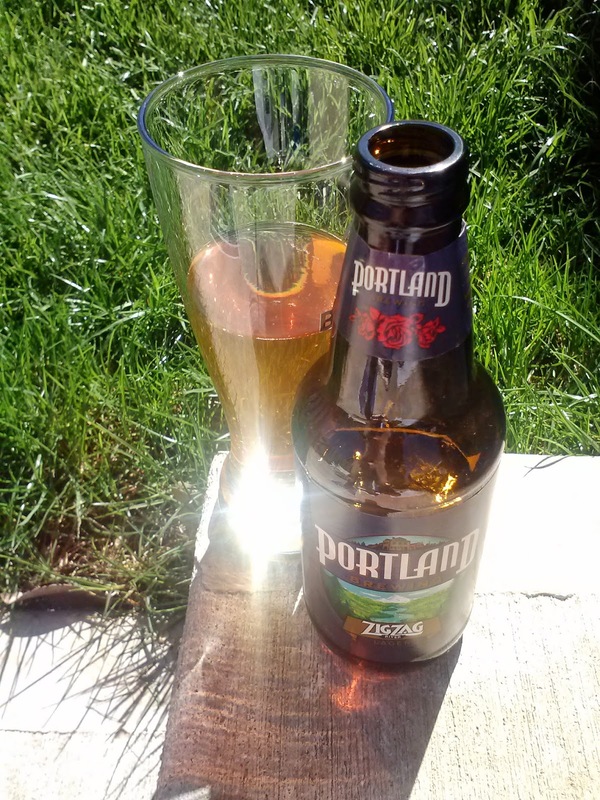 To this end I offer up a suggestion: Portland Brewing ZigZag River Lager. If you know me or have been following along here for a while you probably know that lagers aren't generally high on my list of beer styles. These days there seem to be more and more exceptions to the "rules" of what I like and this is yet another. ZigZag is a light-drinking, not-too-lagery-for-my-palate beer has become a year-round offering from Portland Brewing and is named after an actual river. The caramel notes that the malts impart definitely pop out to me, reminding me more of a blonde ale rather than a lager. Hey, an easy drinking, 5% beer that's easy to find and easy on the pocketbook, I'll take it. Perhaps today would be a good day for you to try one out.